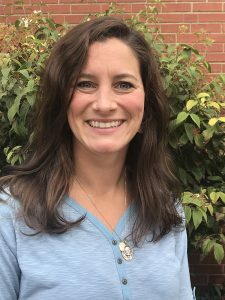 Amanda Cole has been named Mentor for Youth Engaged in Philanthropy (YEP) for the 2018-2019 school year. Amanda is very enthusiastic about working with the Illinois Prairie Community Foundation and the Youth Engaged in Philanthropy (YEP) program. She hopes to encourage, support and promote the program for years to come. Amanda and her husband have 3 children together, two of whom are currently school age. In 2016, they suffered the terrible loss of their third child due to SUIDS (Sudden Unexplained Infant Death). In turn, the Coles established a fund in her name (Louise Bernadette Cole Foundation), which greater paved Amanda’s journey down the philanthropy road. She currently is the part-time librarian at their children’s school, where she also holds the title of Home and School President, bridging the gap between families and staff of the school. Amanda is originally from Wisconsin. She began her college career at Loyola University of Chicago, where she participated in philanthropic programs that reached out to the local community. She moved back north, where she received her bachelor’s degree from the University of Wisconsin, Green Bay in Art Education. During her time at UW-Green Bay, she worked for the Boys and Girls Club. Sandy is a founding Illinois Prairie Community Foundation' sYouth Engaged in Philanthropy (YEP) mentor. 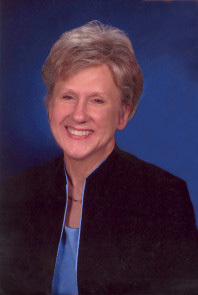 Prior to retirement in 2011, Sandy was employed as a University of Illinois Educator in McLean County Extension. She worked with the traditional 4-H youth program, which included a countywide 4-H teen leadership program, and the urban 4-H youth program which included two out-of-school-time multicultural enrichment programs: UNITY Community Center and Tech Wizards. She is a recipient of the Leadership McLean County Outstanding Alumni Award, the Points of Light Award, the University of Illinois Paraprofessional Outstanding/Innovative Program Award and the McLean County Board of Health’s Public Health Award/Certificate of Achievement. After receiving her bachelor of science in elementary education from Illinois State University, she spent several years teaching fifth/sixth grade. Years later she obtained her master’s degree in education through the University of Illinois. She holds a private pilot’s license and scuba diving certification. Raised in Normal (and elsewhere before that), after 24 years in Washington, D.C. and traveling extensively, Kathy is now a Bloomington resident. She is currently participating in the Multicultural Leadership Program and has worked with the Greenways Program through the McLean County Regional Planning Commission. Kathy is enjoying getting reacquainted with the array of nonprofit and local government entities in Bloomington-Normal. With her bachelor’s degree in French and minors in English and Political Science from Illinois State University, Kathy went east to American University in Washington, D.C. where she earned her master’s degree in International Development. 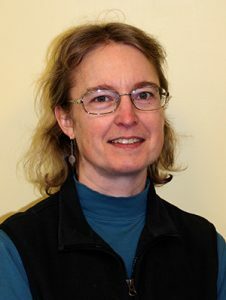 After graduate school, Kathy worked in community-level, national and international nonprofits in the D.C. metropolitan area, raising funds for peace, conservation, green building, and social, economic and environmental justice. Kathy also has extensive editing experience, including as chief copy editor at the (then) Daily Vidette and is a published author. Kathy has lived and traveled in Japan, Europe, and Africa as well as the Kyrgyz Republic. In her spare time, she enjoys volunteering for local organizations, reading, writing, traveling, cooking, knitting, attending film festivals, and live performances and watching basketball. She also enjoys puns and looking at the world from her dog’s perspective. Eric was born and raised in northern Illinois. Eric served in the U.S. Army and was stationed in Germany for 21/2 years. Eric then attended ISU where he earned a bachelor’s degree in Political Science and certificates in Peace Studies and Women’s Studies. While at ISU, he was a columnist and writer for the (then) Daily Vidette and representative to the national Progressive Student Network. In 1994, he moved to Washington, D.C. and joined the national staff of Peace Action, the nation’s largest secular peace and disarmament advocacy organization. He served in multiple positions in the organization, most recently as Assistant Membership Director. Eric volunteered or worked with multiple organizations including the Washington Peace Center, the International Campaign to Ban Landmines, Human Rights Campaign and Code Pink, and has been arrested 7 times for civil disobedience. In 2018, he left D.C. to return to Illinois. Eric has traveled throughout most of western and northern Europe, the Dominican Republic, Kyrgyz Republic, Quebec and Newfoundland. 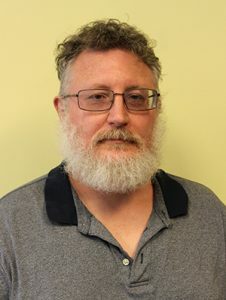 He is an avid board game, card and role-playing gamer with 30 years’ experience as a game master and has published in the RPG field. He lives with his partner Kathy and dog Nidra.